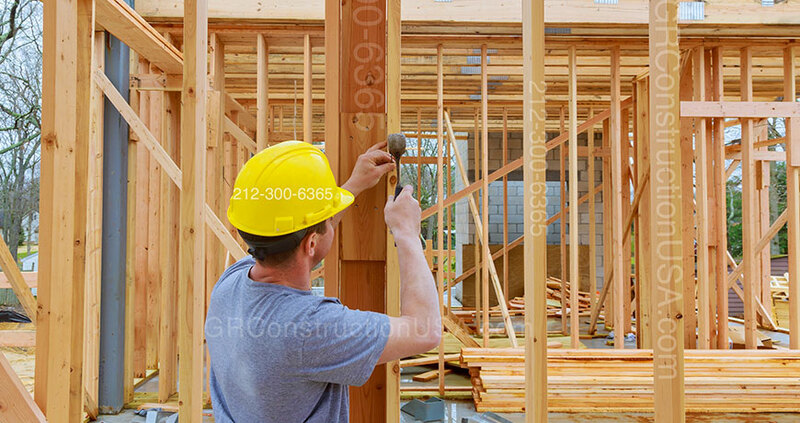 Constructing new house in NY residential and commercial lands has never been easy. It involves extensive plan, tireless research, and tough organisation to achieve the likely new construction processes. Most of the people, who choose to have a new house constructed, find that this can be a very annoying and demanding process. These people hire contractors who make them feel as though they are on their own. Therefore, hiring the right new construction contractor is the key to success. With over 20 years of experience, GR Construction USA has been a full-service, new construction contractor providing new construction services for residential and commercial projects in the New York, NYC Region. We are licensed for NYC, New York City, Manhattan and all 5 boroughs, New Jersey, Westchester County and Yonkers since 1990. We offer commitment to your development project that is reinforced by 20 years of knowledge, quality and workplace safety. Our company will be there for you from the start of the designing process until the successful completion of the whole development process. We have the answers to help you with any of your questions or concerns. Whatever your building needs maybe in regards to new construction, we can serve you better. We guarantee your approval that is why over 70% of our customers are repeat or referrals. From commercial construction to big building projects, we can also construct residential and commercial property in targeted time. That’s why New Construction NYC is one of the best construction company in NYC. Whether its roofing or a full new construction, we have a solution for every project.